Essential resources and guidance on the prevention and control of infections. 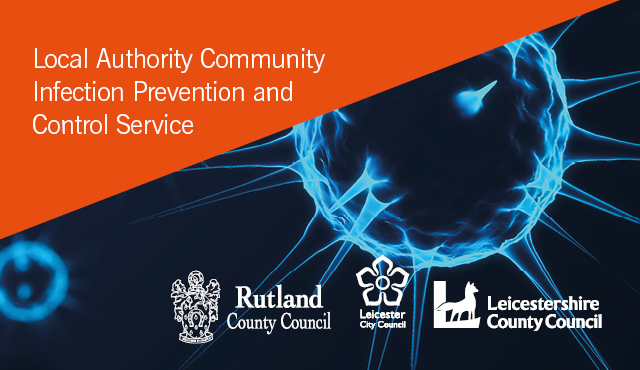 Leicestershire County Council is part of the Local Authority Community Infection Prevention and Control Service (LACIPCS) for Leicestershire County, Leicester City and Rutland County Councils. It may be impossible to stop some infections from happening, but the purpose of infection prevention and control is to reduce the risk of the infection spreading. Infections vary and can have different resistances and ways of dealing with them. An outbreak is defined as 2 or more people showing the same symptoms within the same setting without a valid explanation. A guide to preventing infections, when dealing with a urinary catheter. Spot the symptoms of Sepsis and reduce the risk of infection. Microorganisms which spread infection are starting to learn how to resist treatments such as cleaning and disinfectant products. In November 2017 the Care Quality Commission (CQC) made Infection Prevention and Control a mandatory Key Line of Enquiry (KLOE). These audit tools have been created for use by care homes. A selection of training materials. Many care workers have their own families outside of the work place so here is some guidance which does not apply to inside the care home. When you’re considering making changes to an existing building or building a new one you must consider best practice during the planning and building. It is better to prevent an infection rather than control it as micro-organisms thrive and multiply in certain environments.